Singing the responses at the Hierarchical Divine Liturgy in honor of the Patronal Feast at Saint Demetrius Serbian Orthodox Church in Akron, Ohio, on Sunday, November 11, 2018, as well as performing at the festal banquet that followed, was the last time that ‘Kosovo’ Serbian Men's Choir sang under the hand of founding director, Dr. Rick Stevan Zivic of Cleveland, Ohio. Dr. Zivic has, who has retired from his dental practice this past September 20, 2018, together with his wife Mary, plans on taking up residence in Florida with occasional visits to Hamilton, Ontario, Canada, and Cleveland, Ohio. Rick was the driving force for starting the choir, originally in the basement of his home, beginning in February, 1994. They have been in existence for twenty five years, promoting not only our Serbian culture and heritage, but also promoting and professing our faith as Serbian Orthodox Christians. 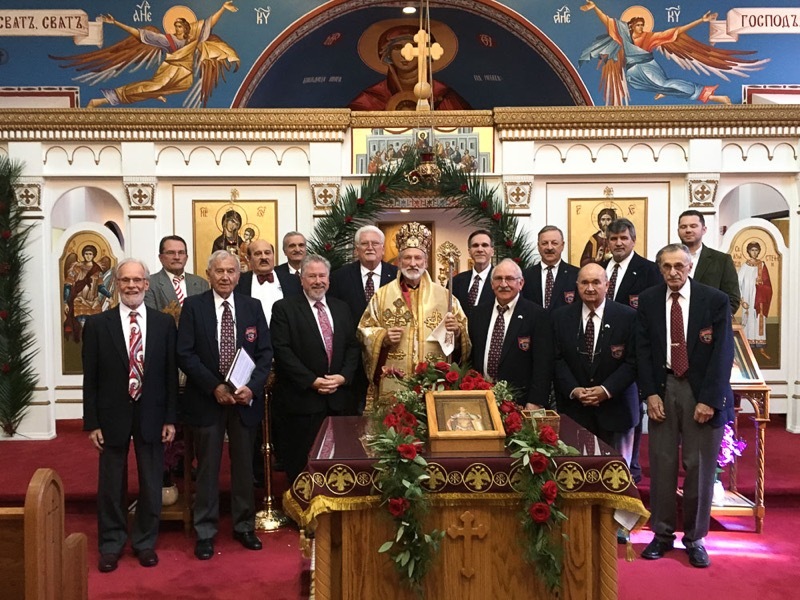 Rick has directed the choir for liturgies, vespers, memorial services and much more in many of our Serbian Orthodox churches throughout the United States, Canada, and even in Serbia. In tandem with liturgical responses of the highest caliber, the ‘Kosovo’ Men’s Choir also paired them on stage with secular concerts of Serbian folk and popular music. 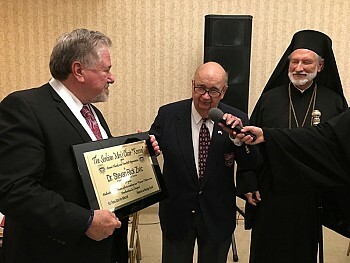 Moved by such, His Grace Bishop Irinej presented Hierarchical Grammata to both the ‘Kosovo’ Serbian Men’s Choir and Founding Director, Dr. Rick Stevan Zivic, during the Slava banquet at Saint Demetrius Church in Akron, for their many fruitful years of hard work and dedication selflessly given to the Serbian Church and its people. Thereafter, the cited honors culminated, when His Grace decorated Rick Zivic with the Order of the Holy Despot Stefan Lazarevic, issued at the Bishop’s recommendation by the Holy Synod of Bishops of the Serbian Orthodox Church, the Grammaton of which was signed by His Holiness Serbian Patriarch Irinej. This Order, which bears the name of the son of the Holy Great Martyr Lazar of Kosovo and the Venerable Princess Miica, is issued to those who have distinguished themselves, as did this great Serbian luminary, Despot Stefan, with the promotion of Serbian culture, literature, poetry, translations and in general for those who have shown themselves meritorious in the arts and science. Congratulations to the well-deserving and worthy recipients!